Preheat oven to 425°. Toss asparagus, 1 Tbsp oil, salt, and pepper together in a bowl. Divide asparagus between two large baking sheets and roast until tender, 7-10 minutes. Remove from the oven and set aside. Whisk 2 Tbsp. oil, thyme, lemon juice, Dijon, and whole-grain mustard in a large bowl; season with salt and pepper. 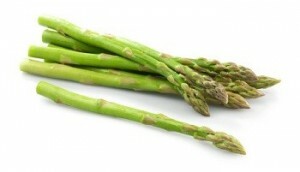 Toss asparagus with vinaigrette until coated and serve. This entry was posted in Recipes and tagged Asparagus, asparagus recipe, mustard, recipe, Roasted, Vinaigrette. Bookmark the permalink.